Running From el Diablo" is based on true events of domestic abuse. This book educates the reader, law enforcement, clinicians, as well as the abused of the complex dynamics involved in domestic abuse. The origin of domestic abuse is clearly defined in this unique fast-paced story, exposing a detailed history of three generations leading to the very same dysfunctional patterns of abuse. All those who have experienced abuse will easily identify with the characters, as well as educating those such as law enforcement and clinicians who have not experienced abuse personally. All those who open the door and step inside this 'diseased' home will escape with a profound knowledge of what 'really' happens to the psyche of those who are abused. A 'must read' for law enforcement as well as state workers, keeping them safe on these violent doorsteps. "Running From el Diablo" allows the reader to enter this home and experience first hand the horrific abuse, as if it is themselves. This is an ADULT book, uncensored, graphic, raw and is intended this way, as to educate all those to the 'true' reality of domestic abuse. A story of human survival, intellectually and spiritually provoking, 'Running From el Diablo' unconsciously teaches and plants the 'seeds' of knowledge in those who are suffering silently from abuse. It identifies every red flag of abuse, as well as the survival techniques to keep a family safe until they can escape. Riveting, compelling and empowering! This story will bring you to the edge of every one of your emotions. Step inside the flames, if you dare...and experience, learn, cry and triumph! READ REVIEWS AND SHOP SAFELY ON AMAZON! 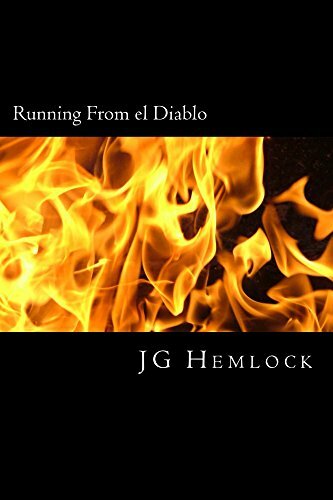 "Running From el Diablo"
I would like to offer this book for FREE on Kindle Books,to anyone who can not afford to buy "Running From el Diablo." The book will be free for 5 days and it is being read all over the world for free, for the next 5 days! May all who need help, find healing, strength and encouragement through this book. You may follow the link below and sign up for Kindle books, and also download apps for reading from your phone. I'm an investigator with has extensive experience dealing with adults who have experienced sexual, physical, and emotional abuse when they were children. This book puts the reader into the author's head as she experiences in real time and first hand the fear and paralysis living with an abuser causes. And more importantly, how she survived and how other victims of domestic abuse can also escape "el Diablo" in their ife.